Is Niall Horan Single? Would a Taken Man Have Such Mysterious Tweets?! Niall Horan, the One Direction member of my own heart — and of a billion other fans out there — has a whole lot to celebrate. One Direction recently revealed that their next single, "Steal My Girl," for their newly announced and appropriately named fourth album Four, will be released on Sept. 29. They also got their fans all hot and bothered when they released the song "Fireproof" to give everyone a glimpse of what Horan has referred to as their new "edgy" album. And, more importantly, Horan just celebrated his 21st birthday. He partied it up in advance of his actual birthdate with friends and bandmate Louis Tomlinson in London before performing in Los Angeles on the actual day of. So please excuse him if he decides to go party his pants off. (It’s just a saying! As far as I know, he kept his pants on, so all your Directioners out there can calm down.) But of course, through all of this pomp and glee, there is one question on everyone’s minds, the question we all ruminate over as we drink our morning coffee. 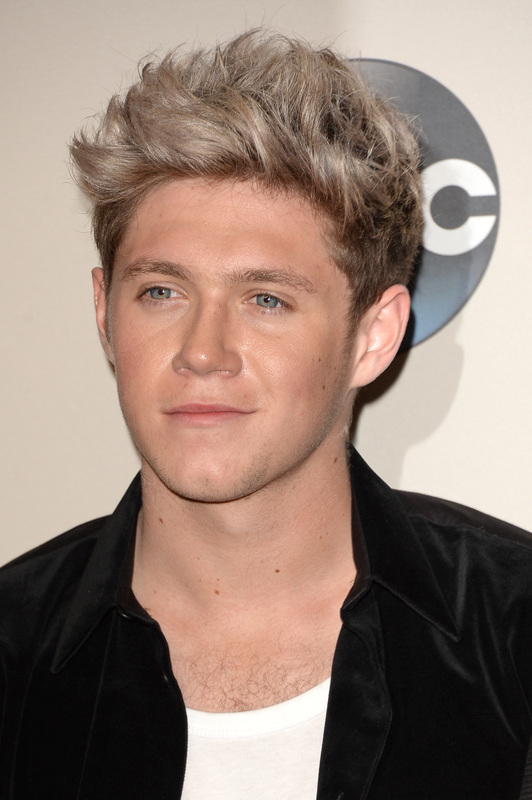 The question: Is Niall Horan single? We know a couple of the other band members are taken, so let's figure out what's going on with Niall. Almost a month ago, rumors began that Horan was dating Selena Gomez after the two went out for dinner in West Hollywood. It would’ve been a match made in Taylor Swift’s book at least — the "Shake It Off" singer apparently tried to hook them up. Maybe Swift met the Irishman and thought of her BFF Gomez when she dated Harry Styles back in the day. But later reports said that Gomez’s un-flushable boyfriend Justin Bieber was there, and to no surprise to anyone, Gomez and Bieber are pretty much back on and living la vida Las Vegas right now. So Horan was, apprently, never even dating the Spring Breaker. Horan is pretty active on Twitter and Instagram. He posts pics of the band's tour, and even shares a few photos of his family. Yet he hasn't shared any pictures of a significant other. But you know who he has shared a rather sweet photo of? His 1D brother, Liam Payne. It's made even sweeter because it looks like Horan's smelling Payne and the name of their new fragrance, "You & I," is perfectly framed in the background. As fun as he is and as much as I love him, his tweets always look haphazard and messy. The spaces are off, and sometimes he uses quotation marks to signify a RT, sometimes he doesn't. I can't make heads or tails of it really. I'd like to think that someone, maybe a significant other with his best interest at heart, would at least tell him that spaces before exclamation points in a sentence is a waste of a character for a tweet. He's obviously single. A taken man wouldn't be that carefree. OK, so this is more like a difference of definitions of what one would constitute as "edgy," but this is evidence as to Horan's single-ness because he thinks that a song about settling down is "edgy," like it's something that's unheard of for him. This is the type of thinking I'd expect from a single person. I know, this is a stretch, but it sort of makes sense, right? Fine, maybe not, but "Fireproof" is seriously catchy, even if it's edginess is questionable. On the plus side, if Horan is in fact as relationship-free as he seems, we can all imagine Horan singing it to each and every one of us with his handsome single self.